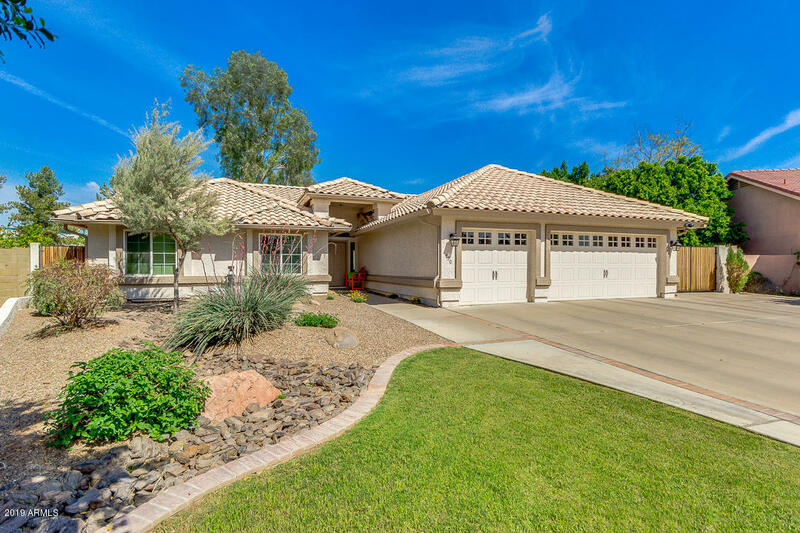 All CIRCLE G MEADOWS 2 PHASE homes currently listed for sale in Gilbert as of 04/22/2019 are shown below. You can change the search criteria at any time by pressing the 'Change Search' button below. "''HUGE CUSTOM BUILT BASEMENT HOME'' NO HOA located on a cul-de-sac lot in the quiet/desirable community of Circle G Meadows. This home has 7bd/3.5bath, a fully finished basement & a large backyard w/ a covered patio, RV gate & a sparkling salt water pool. Main floor has beautiful wood flooring in all the right places & a large family room with a fireplace & plantation shutters. Remodeled kitchen features granite countertops, custom built 36'' wood shaker cabinets with under cabinet lighting & du"